The other day, my glasses broke and I went to Wally World to see if I could get them fixed. After the repair, I figured that I would get a quick haircut, since Walmart usually has a place for that. She said that she didn’t smoke, but that her husband did and that they went there quite often. 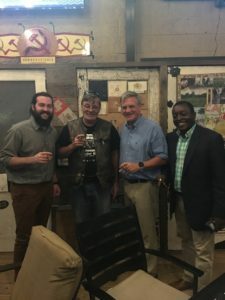 I looked at the map and found that Florence is about 40 miles away from Athens, where I am staying, so I wasn’t really happy about that, but this is what I do – I search out Cigar Adventures! So, I headed for Florence, which was actually a nice ride. It’s a straight shot from my motel to Florence and then one turn and about a mile up. Most of the ride is through rural country and great for two wheels. I walked in the door directly into the humidor, there are three people standing in there and all three work there. 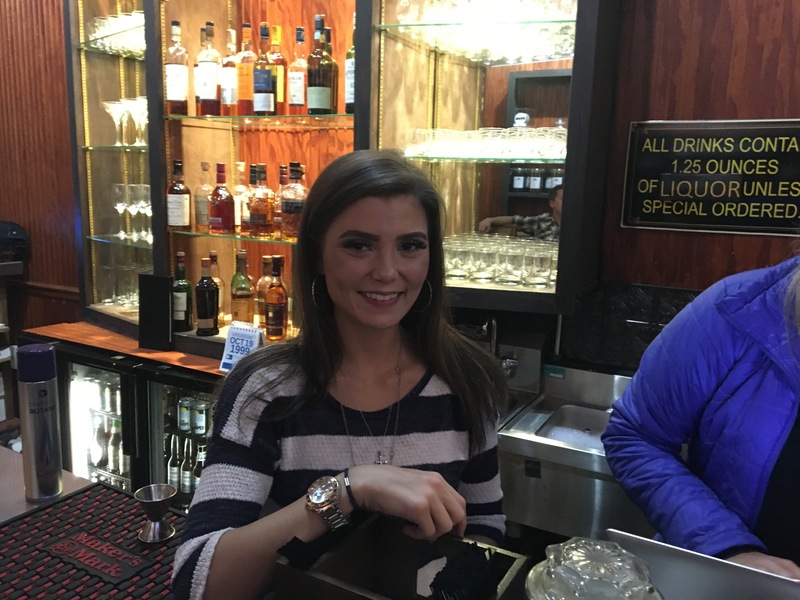 I introduced myself and told them what I was doing and received a very warm and enthusiastic greeting. 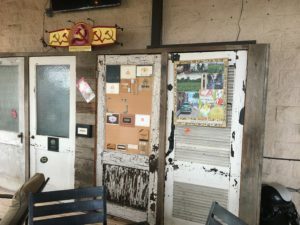 There was Kurt Wilson, one of the owners, Christian ,Walker, who had been working there for over 5 years, and Kayla Tippit ,who has only been there for about a month. I seem to have hit it off with Kurt right away, and in a very short time, it seemed like we had known each other for years. 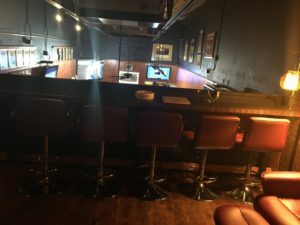 Kurt is very passionate about cigars and waxes poetic when talking about the subject, he is also extremely knowledgeable and quite fun to talk to. 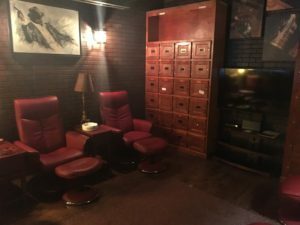 Kurt then began to show me around the humidor. 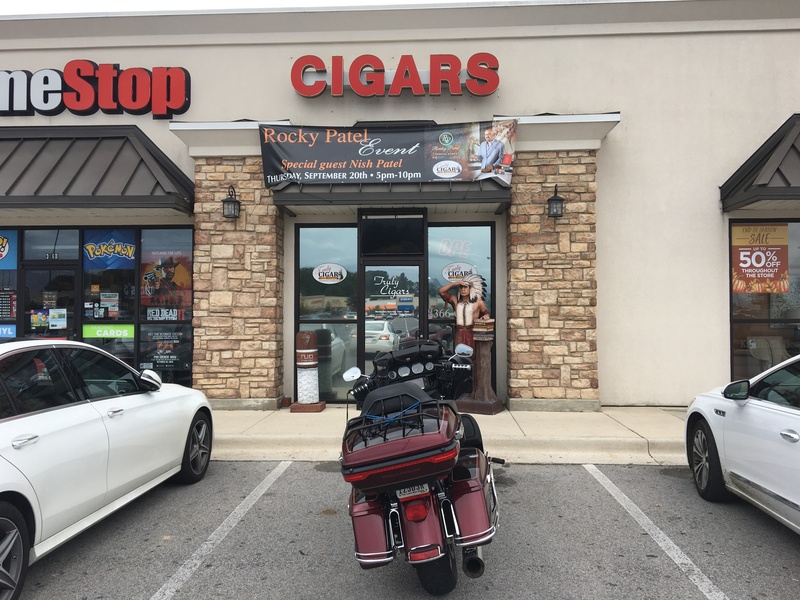 He picked up what appeared to be a rectangular, ceramic Rocky Patel Cigar tray and began placing cigars that he thought I would like on it. 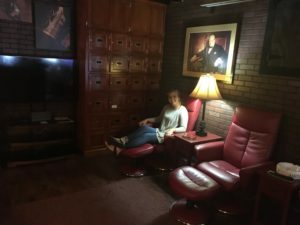 One of the humorous things that happened was that Kurt told Kayla to watch how he did this, then Kurt and I would get into conversations and Kayla would be standing there, but would find something to do, until we got back to cigar shopping. While I was visiting with the other three, another fellow walked in and this was Tobias Jones, the other owner of Truly Cigars. I came to find out that these guys have been in business for ten years and have done five remodels on the place. They are squeezed in between two other stores in a strip mall and I think Tobias said they only have 1200 square feet of space, which they have made the best use of. Kurt and Tobias were to have a meeting with Christian and apologized for having to leave me in Kayla’s capable hands and took their leave. 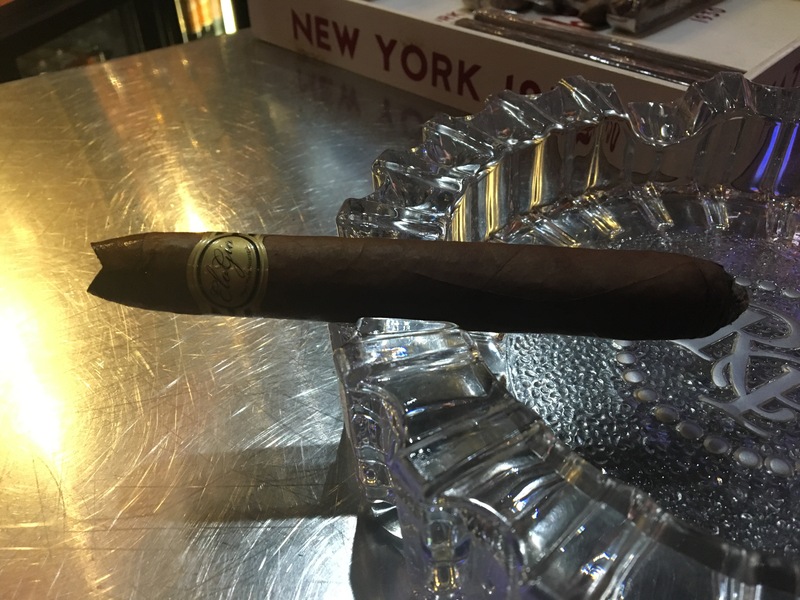 We went into the lounge where I ordered a drink and Kurt came back over and gave Kayla instructions on how to prepare my cigar, which was what is called a Salomon, from ElaGio, who is a boutique manufacturer in Nicaragua. I can’t tell you a lot about them, other than that they are not real well-known, but produce an excellent product. my editor tells me that they have been around for quite a while, just aren’t as well known. Kurt had Kayla use a Calibri v-cut, which happens to be what I normally use and Kurt toasted it and held the lighter while I fired it up. This was a splendid stick and probably burned for two hours. 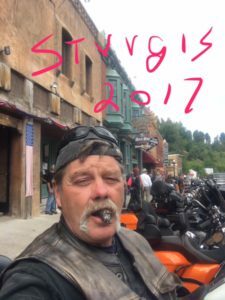 I was still smoking it when I got back to the hotel 40 miles away, on my Harley. Kayla then resumed the tour and took me upstairs to the members lounge, where there were plush leather chairs with ottomans, lockers and a big screen TV. 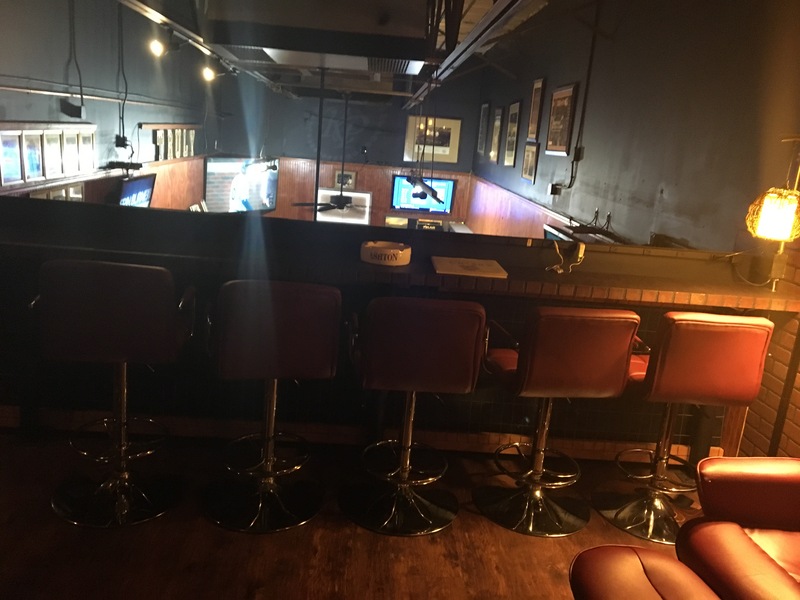 There is also a long work station with plugins where member can get some work done while enjoying a smoke and their favorite adult beverage. 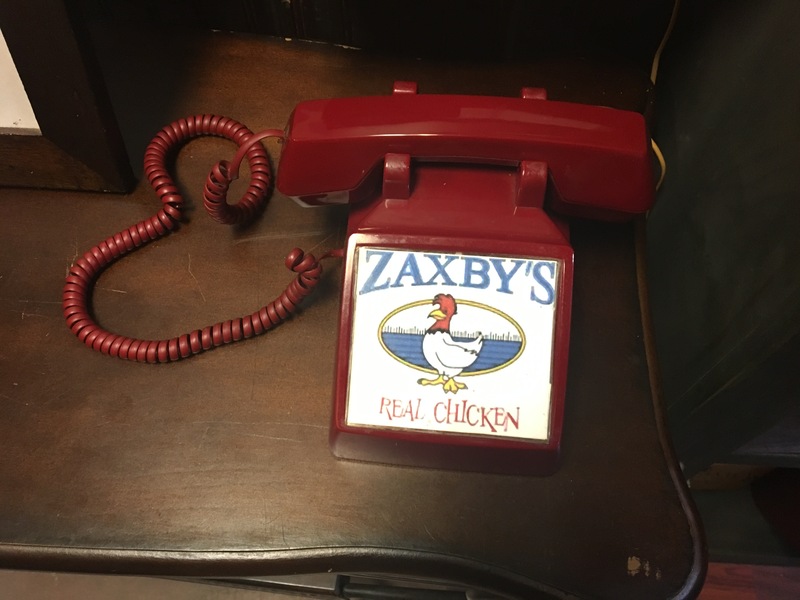 We then headed back downstairs and toward the back where we passed a Zaxby advertisement and the hotline – a red phone that provides a direct line to Zaxby’s chicken a couple of doors down that is owned by Kurt. Tobias handles the day to day operation of Truly Cigars as Kurt also owns a chain of Zaxby’s restaurants. 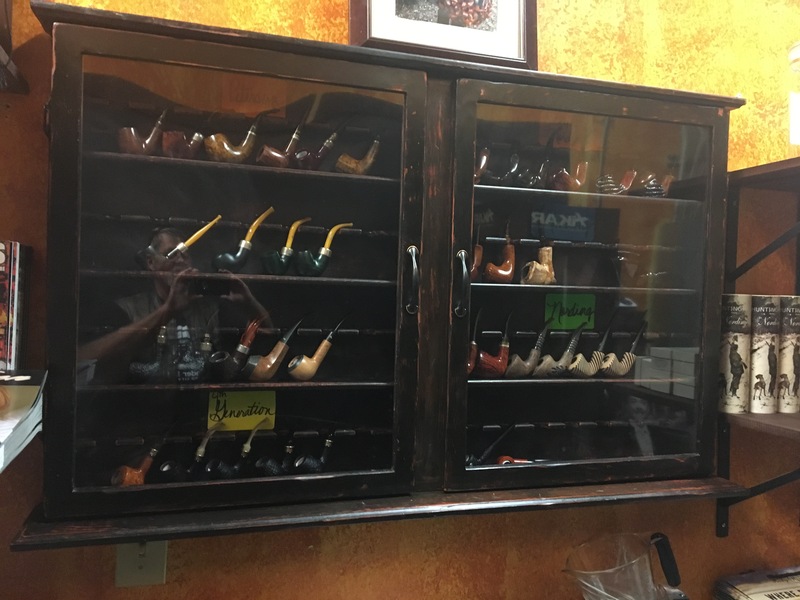 Across from the phone is a collection of pipes of all shapes and sizes that they sell. They apparently do quite a bit of pipe business as well. 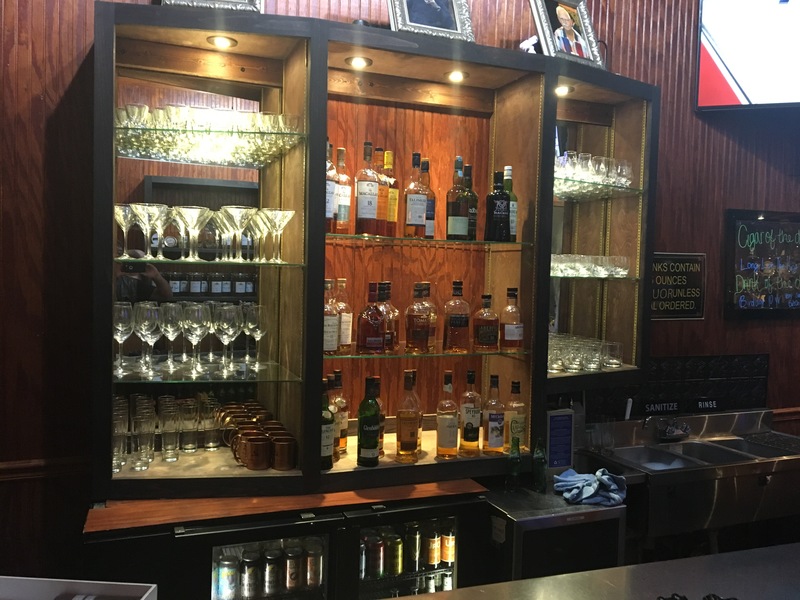 Behind the bar is a fine assortment of Scotch for the connoisseur. 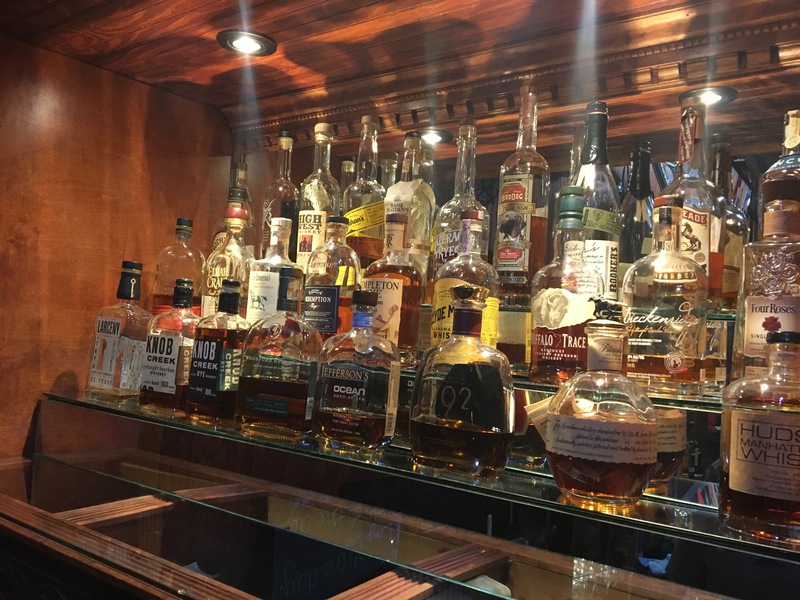 At the end of the bar is a nice collection of bourbon and whiskey. 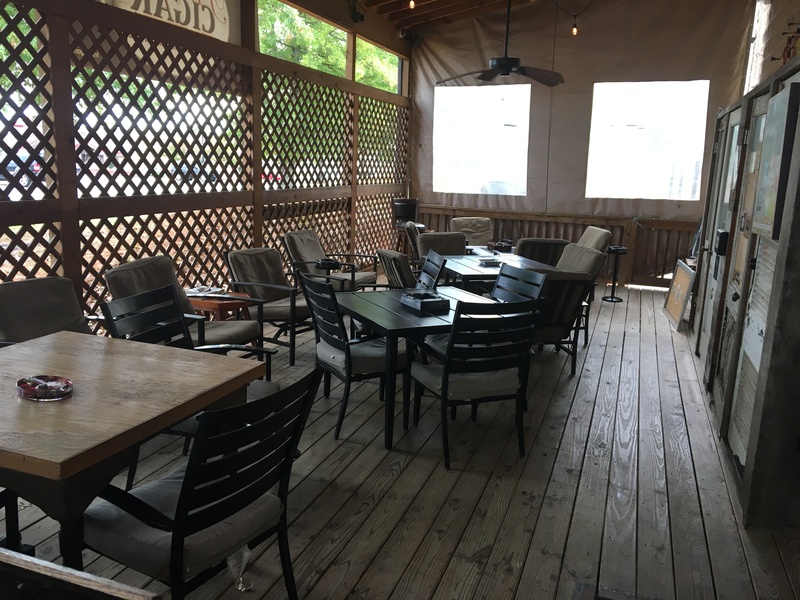 We next went out the back door where they have a large screened-in deck with tables, chairs, a bar and big-screen TV. When we stepped up on the deck (watch your step, it’s just one step but can getcha) we encountered Kurt. Tobias, and Christian, and even though I interrupted their meeting, we were deep in conversation again and took a bunch of pics of the five of us. 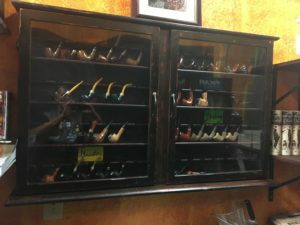 Then even though I didn’t want to interrupt, we all went back to the humidor for more pics for my Pals page. After a bit more conversation, we went back into the bar and Kurt and Christian went back out to the deck. I didn’t want to interrupt their business any further and Tobias had stayed inside, possibly to answer any more questions, so I bid him farewell and took my leave promising to return. 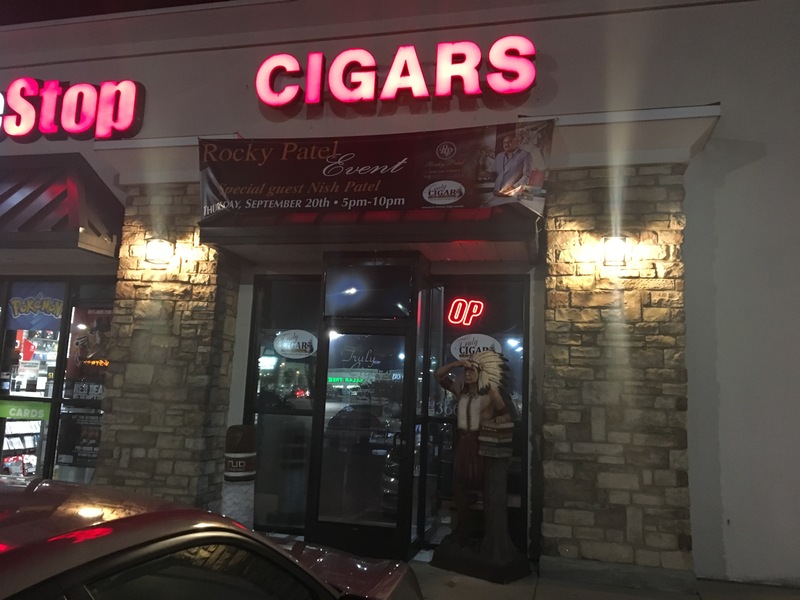 I was very impressed with the folks at Truly Cigars and their humidor featuring Rocky Patel Cigars. 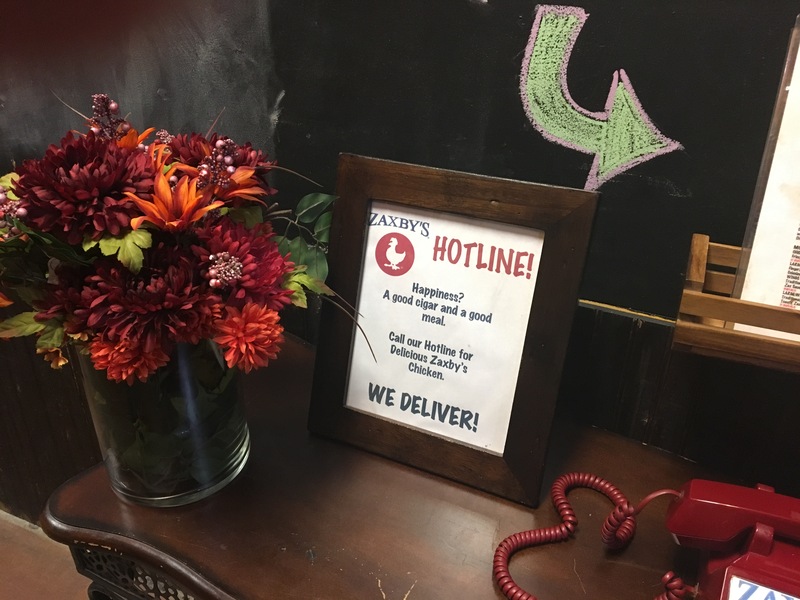 From the moment I walked in the door until I left they made me feel welcome. 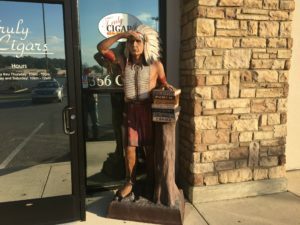 Kurt spoke with passion of the camaraderie among cigar smokers and my visit to their shop proved, once again, that this is quite true. 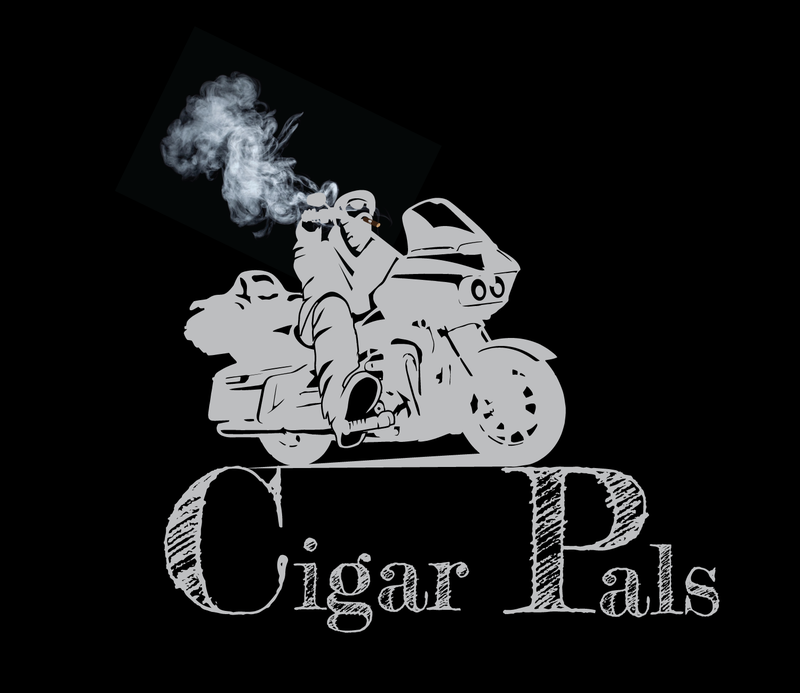 I would also like to mention that they have cigar events at least once a month, and this month they are having two. A Nat Sherman night and on the 26th they have someone coming in to hand roll cigars, which I plan to attend and will probably do a post about. 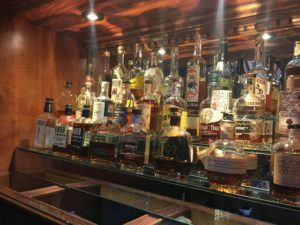 Great article Chuck and look forward to seeing you soon!!! 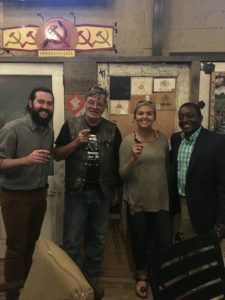 Thanks Tobias: Really enjoy Truly Cigars, and look forward to your rolling event this Friday! 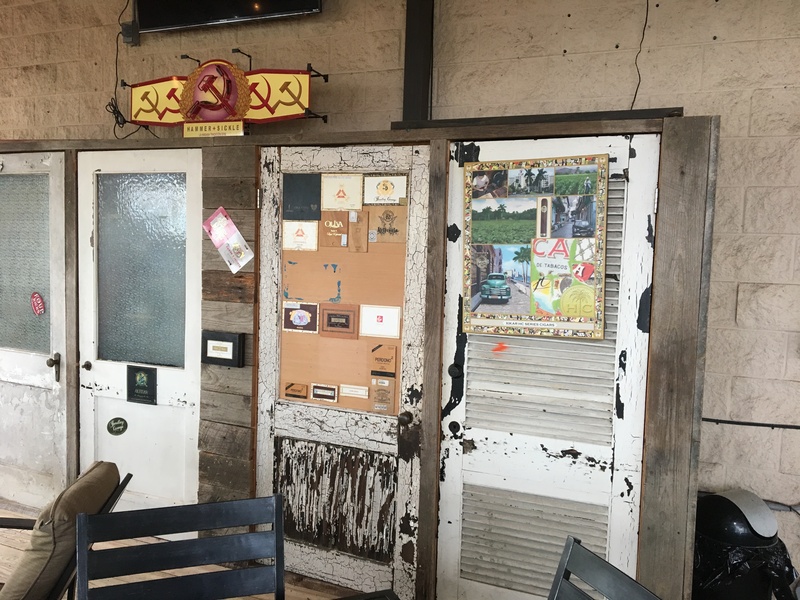 I always feel welcome there. I love it when great place just show up right there. Almost like the nose knows. Enjoy my friend. Almost like magic, thanks for the reply Vicki! Chuck I’m impressed!! Enjoyed this and look forward to seeing your next adventure. Hi Dianne: Thanks for the comment. I’m glad you enjoyed the post. Truly Cigars is Truly a great place to purchase and smoke a stick (cigar). 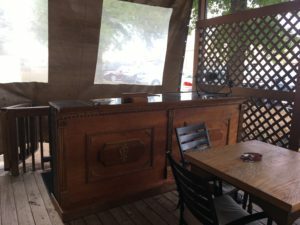 You might enjoy some of my other posts from the past and there are links to some of them and some pages in the article you just read. look forward to sharing future posts with you!